adjusts to temperature fluctuations in in real-time, marking a giant leap in the evolution of PC cooling. The HydroLux’s proprietary Control Center software provides enthusiasts with complete control of the cooling system and chassis. 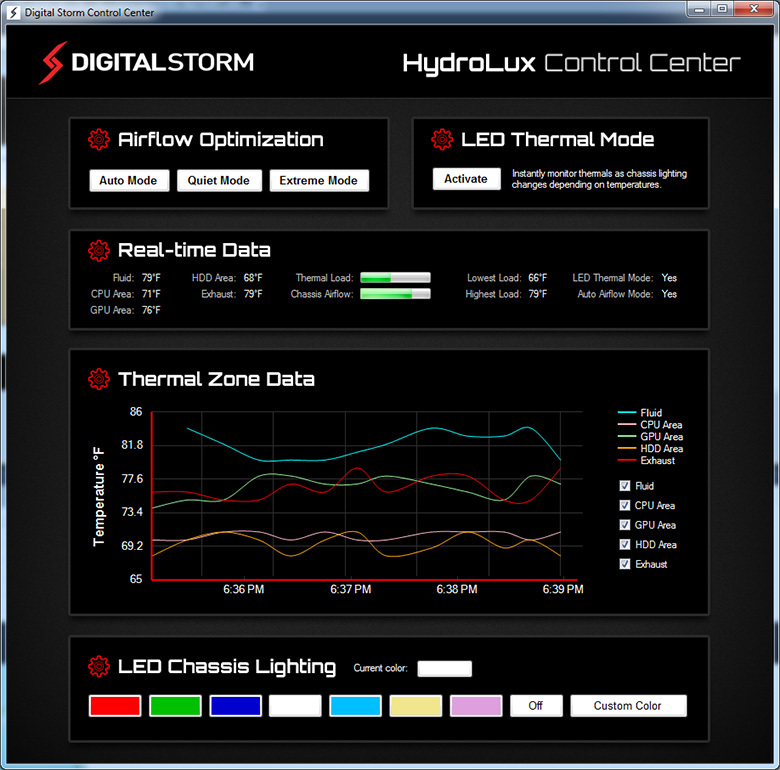 This includes detailed temperature graphs, thermal linked LED lighting (pictured below) and automated airflow optimization.With the click of a button, HydroLux can transform chassis LED lighting into a powerful tool for monitoring system temperatures. As both internal system and fluid temperatures rise, HydroLux visually displays the fluctuations by fading LED lighting from a cool blue to a warm red. To help enthusiasts know when they have pushed their system to new heights, chassis lighting switches to red every time a maximum temperature recording is exceeded. Users can choose from quiet or extreme airflow profiles depending on preference levels, or allow HydroLux to automatically make those determinations and adjustments in auto mode. An array of temperature probes feed the HydroLux control board with real-time data, which is then used to modify fan zones accordingly, striking the optimal balance between thermals and system noise. 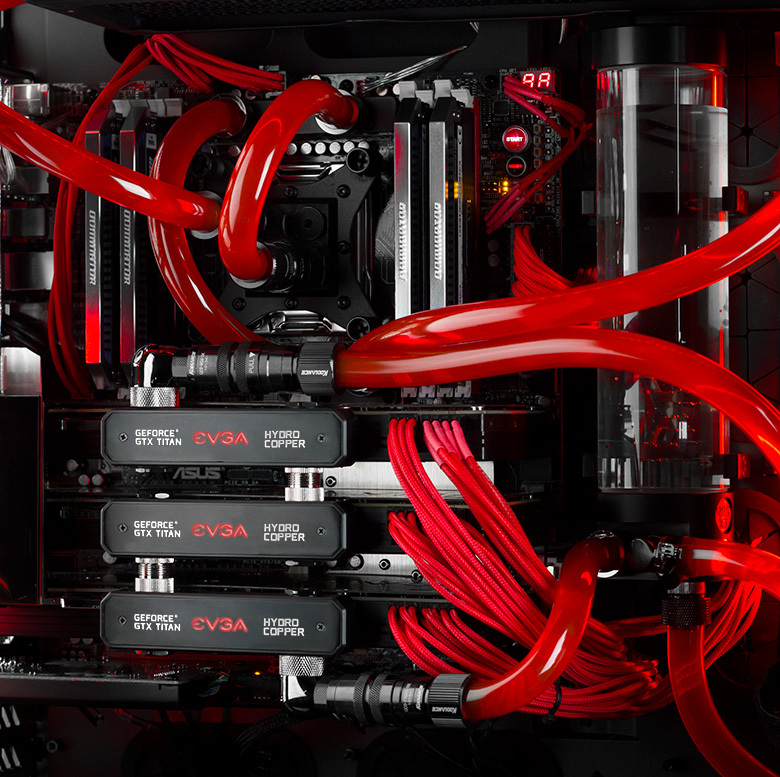 The HydroLux Liquid Cooling System is immediately available on all Digital Storm Desktops, including the recently released award-winning Aventum II.